HISTORY has a habit of repeating itself when it comes to near misses involving Clare hurling teams in Munster senior and U-21 hurling finals. The banner has almost been hoisted to full mast when teams were on the verge of making the long-awaited breakthrough only to be cruelly denied by the concession of a late goal or a flurry of points. Bishop Willie Walsh has experienced the heartbreak of losing a provincial decider by literally a puck of a ball as a mentor and supporter when victory looked certain for the Banner men. On Thursday, July 30 last, Ciarán O’Doherty and company eased the pain and frustration of narrow defeats in 12 finals with a tremendous display of guts, determination and silken skills to defeat Waterford for a historic first Munster final success. Die-hard Clare supporters who made the journey to Dungarvan felt it was a fitting reward for nine survivors of the team who suffered a heartbreaking defeat against Tipperary by the narrowest of margins following a controversial refereeing decision last year. Bishop Walsh could empathise with the Clare management team and players having lost out on the chance to secure provincial U-21 hurling success 23 years previously. In fact, the Roscrea native, who will be at the helm in the Killaloe Diocese for the last time Clare are involved in an All-Ireland final, believes that a controversial refereeing decision just before the final whistle scuppered their chance of capturing the elusive provincial U-21 crown. Bishop Walsh was part of a Clare U-21 hurling backroom team including Tony Kelly and the late Fr Michael McNamara, which steered their charges to an unexpected win over Cork on a 2-13 to 1-11 scoreline in the 1986 Munster semi-final. Backboned by members of their All-Ireland winning minor team of 1984 including prominent players such as Mike Reale, Gary Kirby, Ray Sampson and Anthony Carmody, Limerick were hot favourites to lift the Munster trophy in their own backyard at the Gaelic Grounds in 1986. However, Clare looked set to cause a sensational upset when they led by a single point with less than a minute remaining. According to Bishop Walsh, the Clare substitute ‘keeper, Leo Doyle decided to clear the sliothar just before it went out over the end line. Bishop Walsh claims that an umpire incorrectly ruled that the ball had gone wide and instead of awarding a puck-out, the referee threw the ball in on the 30m line and it fell kindly to Limerick full-forward, Paudie Reale, who saved their blushes with a dramatic last-gasp equalising point with just 30 seconds left. Having caught Limerick by surprise, Bishop Walsh knew leaving the Gaelic Grounds that Clare had missed their chance after the game finished all square at 3-9 apiece. The Shannonsiders led by 2-05 to 1-06 at the break after racing into a 2-5 to 0-2 lead after just 12 minutes. A goal from Martin Cahill gave Clare a one-point lead for the first time in the 10 minute of the second half. Three minutes from the end, Bernie O’Brien put through a handpass to Tommy Guilfoyle who doubled on the ball to earn Clare a slender lead until Reale equalised. The worst fears of Bishop Walsh were realised in the replay when a Clare team depleted by injuries to key players such as John Russell and John Chaplin were hammered by 2-10 to 0-3. The drawn game was hugely disappointing for Bishop Walsh as Clare could have held on for a shock victory. The bishop had built up an indepth knowledge of young Clare hurlers having trained teams in St Flannan’s – the well-known Clare hurling nursery for 16 years. Based in the Ennis college as a maths and science teacher, he developed a good working relationship with another Tipperary cleric, Fr Seamus Gardiner, and together they moulded a team which won the Harty Cup title by beating De la Salle from Waterford in 1976 following an 18-year gap. More Harty Cup success followed as a result of the work completed by the Tipperary duo and in the early ‘80s, Bishop Walsh teamed up with Fr Hugh O’Dowd to help the side capture All-Ireland glory in 1982 and ’83. Fr Gardiner returned for another Harty Cup success in 1987, Bishop Walsh took the Dean Ryan team that year and the following season, he had left the college. Bishop Walsh worked with Tony Kelly and Mike Morey, father of Clare U-21 full-forward Camin Morey, for two years with the Clare minors in 1984 and ’85 and then graduated to the U-21 set-up with Kelly and the late Fr Michael McNamara only to suffer that agonising defeat in 1986. His enthusiasm was never diminished by these reversals and he joined another Clare U-21 backroom team with Seamus Durack and Ger Loughnane for one year at the start of the ‘90s. Having guided Éire Óg, Ennis to a Munster Club senior final where they were narrowly beaten by Limerick champions Patrickswell, the bishop then joined another Tipperary man, Len Gaynor, when he was made senior manager in 1991 for one year. Following changes in the backroom team, Bishop Walsh returned as a selector again with Len Gaynor in 1994, when Clare turned the tables on Tipperary with a shock victory in the first round having suffered a heavy drubbing in the 1993 Munster senior decider. However, Limerick subjected the Banner men to another hiding in the Munster final and at the end of the year, Dr Walsh had to end his involvement with Clare hurling when he was appointed Bishop of Killaloe. Dr Walsh agrees that Clare didn’t build on their “extraordinary” success in 1997 when they completed a historic All-Ireland senior and minor double as there wasn’t an immediate follow up of further success. “Apart from Kilkenny who keep producing very good teams at club and inter-county level, most counties that achieve All-Ireland success suffer a drop in standard the following year. “Clare has a proud hurling tradition and during the ‘70s and ‘80s, teams came very close to making the breakthrough for a few years before fading away again. 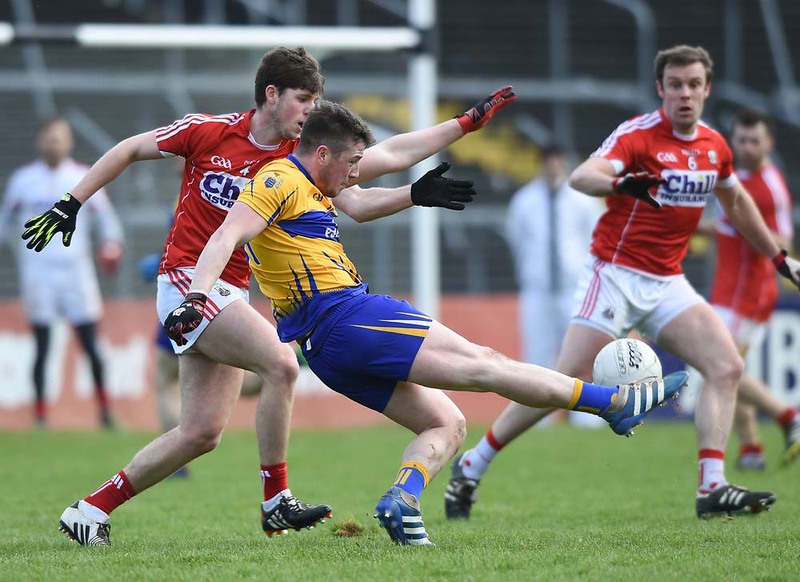 Clare teams lacked that bit of luck, confidence and self-belief. “I remember in St Flannan’s when 18 years passed before another Harty Cup success in 1976, we lost a lot of close games but once we made the breakthrough, we started winning tight games because of the extra bit of confidence gained from victories. “Losing last year’s Munster U-21 final could have broken the management and players. It was a great test of their character to come back this year and win it,” he said. Before the All-Ireland semi-final, Bishop Walsh pointed out that anyone who predicted Galway senior star Joe Canning would score 4-7 would feel it would be impossible for Clare to overcome this tally. However, he was very impressed to see Clare responding with a score any time Joe Canning scored a goal and stressed that other good teams would have folded if they suffered this fate. “Clare U-21s are very well coached, I was very impressed with their first touch, hooking and blocking and speed of hurling in Thurles. Galway looked set to score another two goals but their forwards were hooked by Ciarán O’Doherty and Cian Dillon, which was as good a defending I have ever seen. “These things don’t happen by accident, they come from hours of practice in the training fields. For such a tall player, Darach Honan has a great first touch, is extremely agile and has a great burst of speed. “The Clare U-21 forwards, as a unit, have possibility the highest level of skill of any six Clare forwards,” he said. 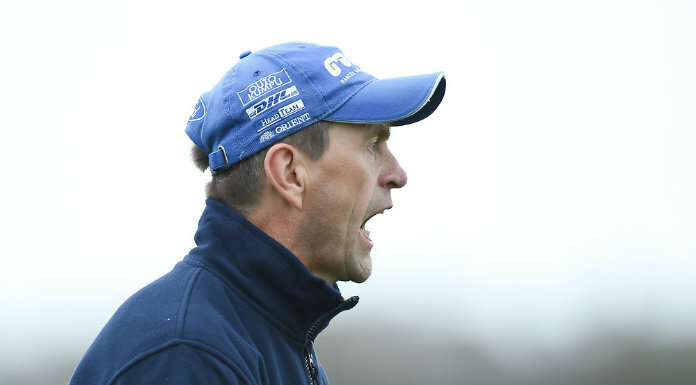 Acknowledging that Kilkenny are always formidable opponents in an All-Ireland final, he is confident that the Clare management will ensure that their mental preparation before the game is top class. Bishop Walsh agrees with the maxim that while success at U-21 level is a great boost for providing very good senior teams, it doesn’t guarantee success. Even though Tipperary won six U-21 titles in 10 years in the ‘70s and ‘80s, the Premier County didn’t make the breakthrough until 1987. He believes that any successful senior team needs at least five or six experienced players to provide the right leadership for young talented U-21 hurlers. “Clare U-21 hurlers have provided a great lift for the county. The atmosphere in Thurles after the All-Ireland semi-final was electric. This is a talented, skilful Clare team and hopefully, they can play to their potential and beat Kilkenny,” he said. A pre-arranged holiday in Italy will prevent Bishop Walsh from attending what would have been his last All-Ireland final as bishop but he hopes to be back for a homecoming celebration if the Banner prevail.